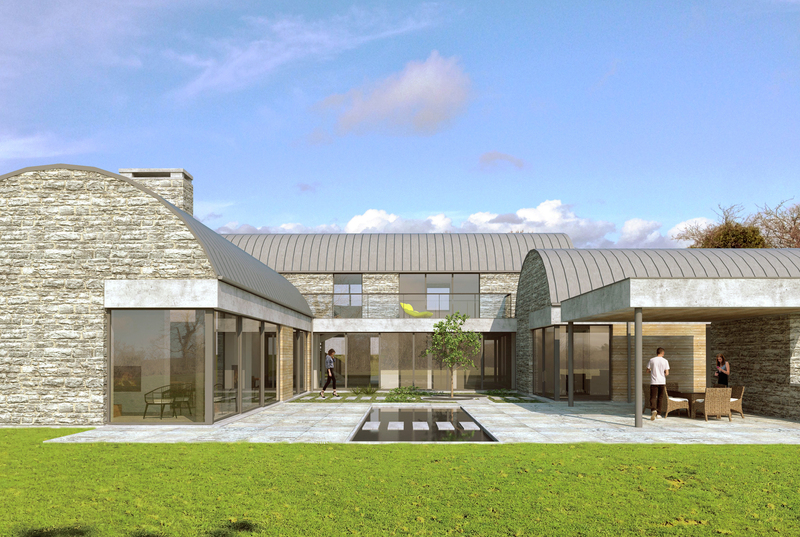 Kilbrin House is a contemporary interpretation of a country home. 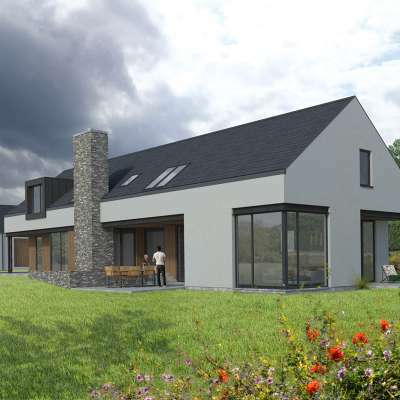 Conceived as a series of interlocking blocks, the interior layout revolves around a landscaped courtyard, framing expansive views across Monaghan’s drumlin landscape. 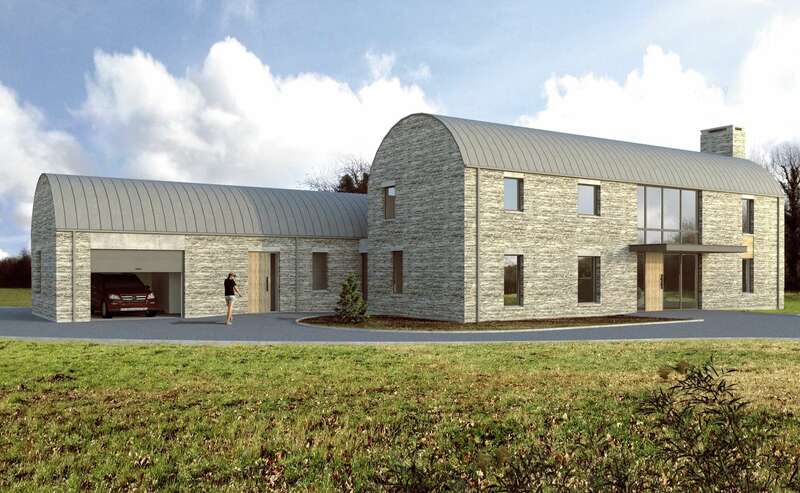 Reducing the scale of the building to a collection of built elements aids integration into the rural setting, its form resembling a clachan-like development of house and outbuildings. The courtyard also offers privacy and shelter on an exposed site. 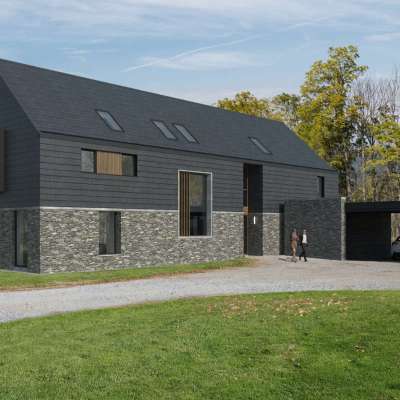 Form, materiality and fine craftmanship are key to this dwelling’s design concept. 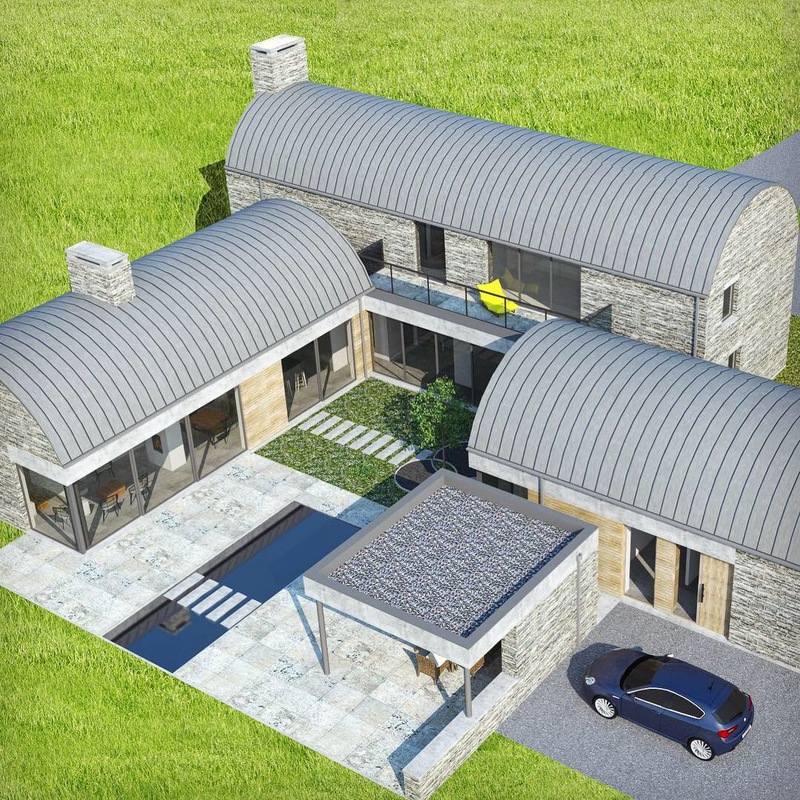 The barrel-vaulted roofs take inspiration from traditional vernacular farm buildings of the area. Here they are enveloped in standing seam zinc for a more polished finish. Heavy stone walls anchor the building in its rural setting. From a distance, its dark silhouette could easily be mistaken for a group of agricultural structures in the landscape. 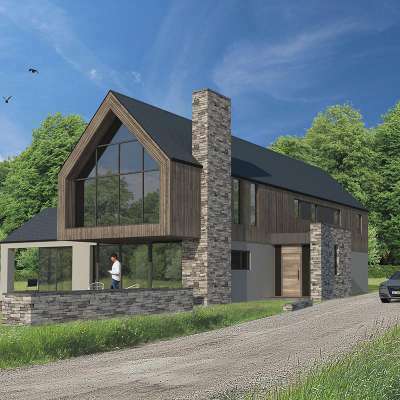 Integration and connection to the wider environment is the ultimate goal with this house, the latter being achieved through floor to ceiling glass which blurs the threshold between outside and interior. This house is designed as an informal, grand family home. The sequence of arriving and filtering through the building was thoroughly considered to showcase specific views. The interior has a layout of free-flowing, flexible spaces, each one opening into the next. The volume of these rooms expands and contracts depending on its use. A double height entrance hall exhibits a bespoke curving staircase whilst the kitchen benefits from lofty ceilings to the underside of the sweeping barrel vaulted roof.